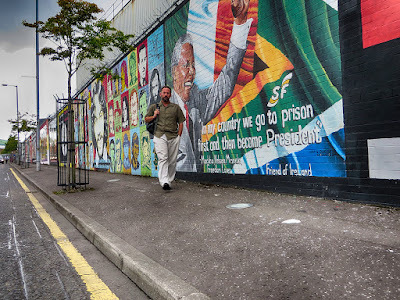 During my summer travels in Scotland and Ireland, attending the Edinburgh Fringe Festival and exploring the landmarks (and pubs) of Dublin, I caught a two-hour train ride to Belfast. 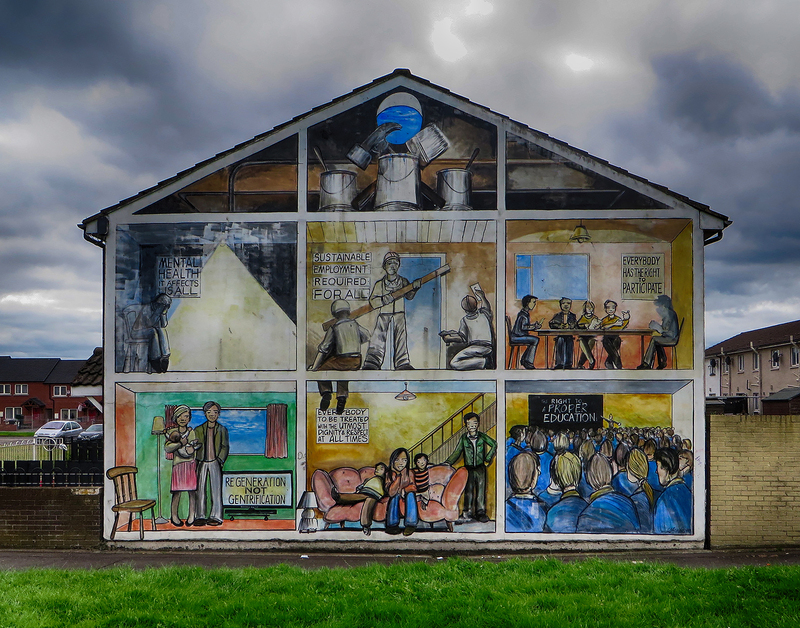 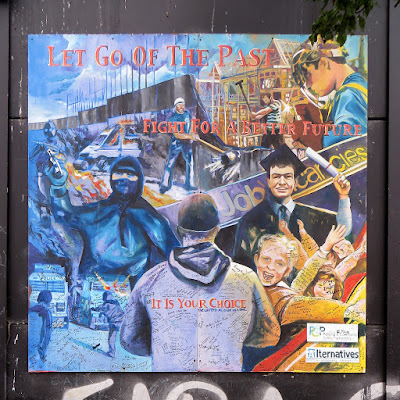 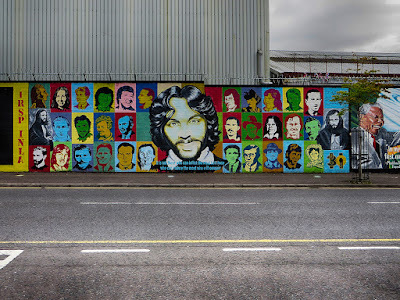 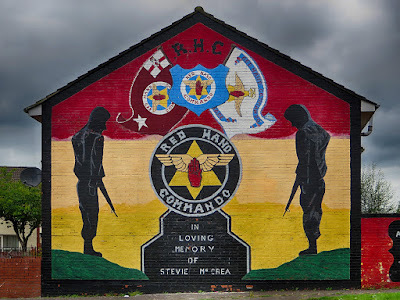 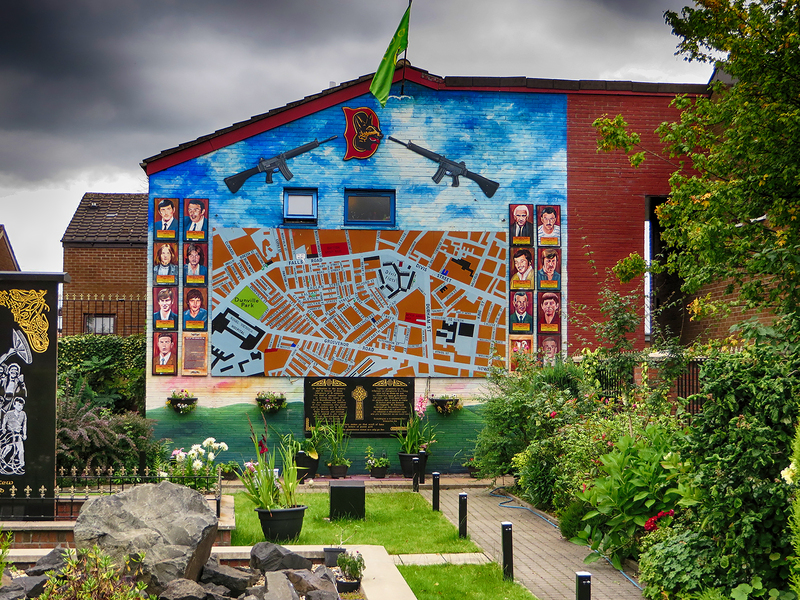 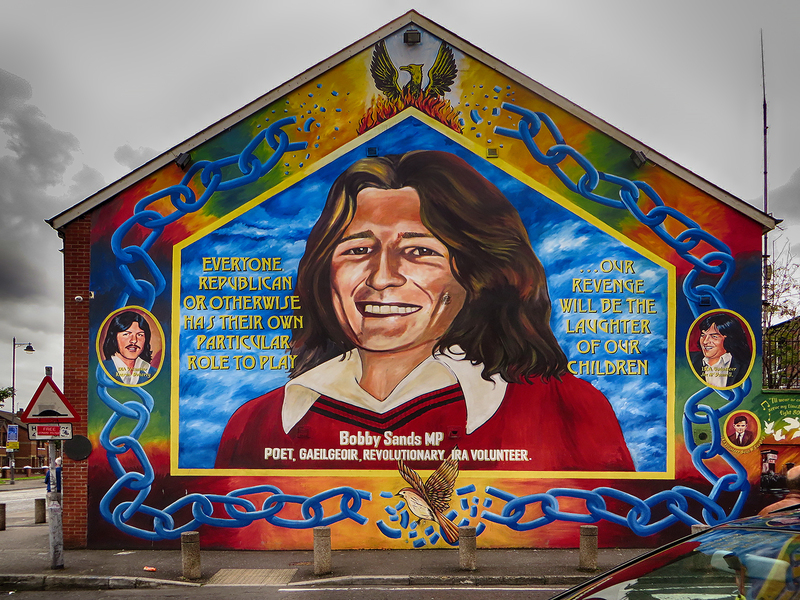 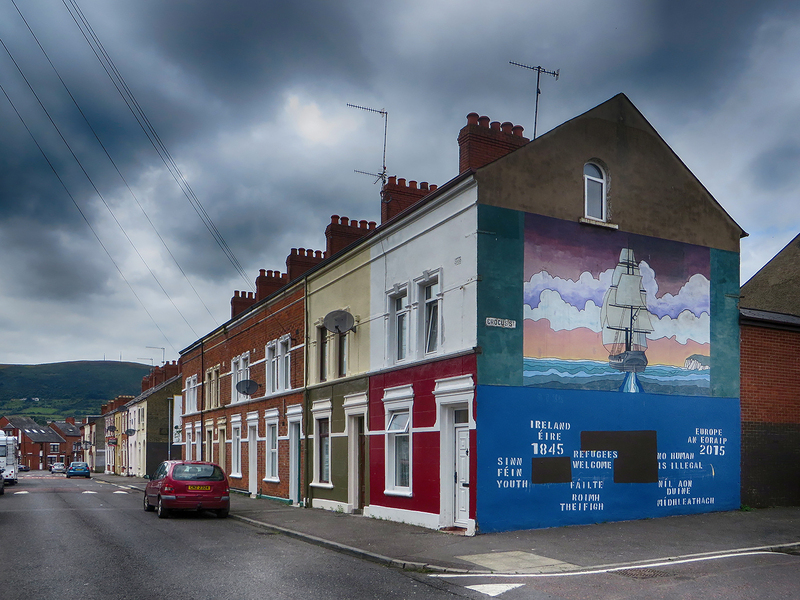 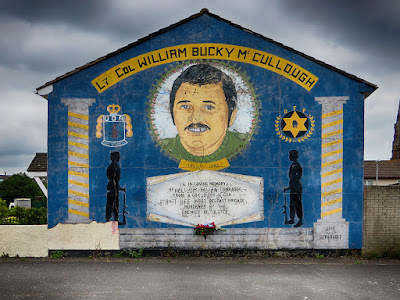 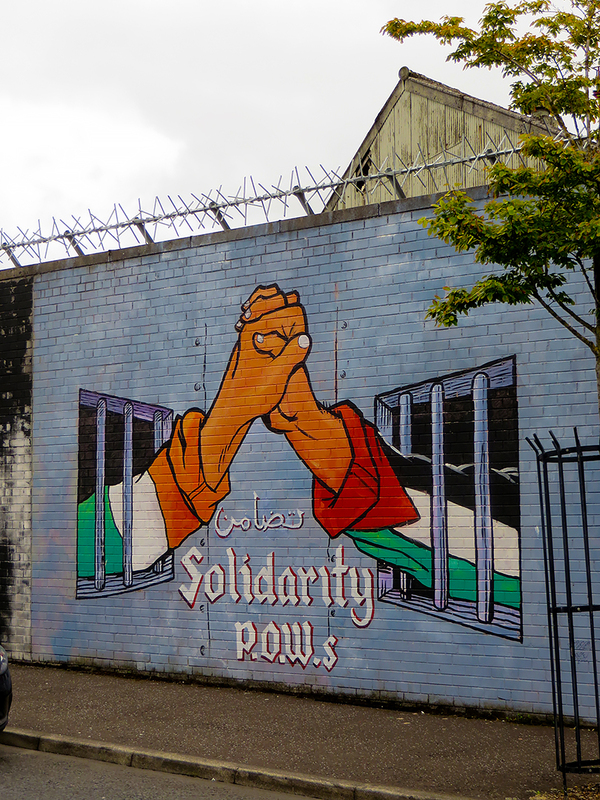 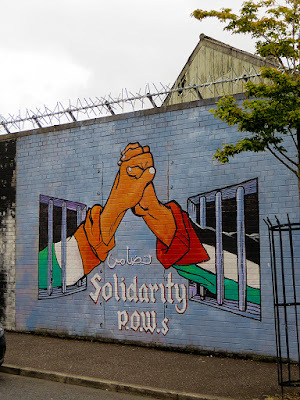 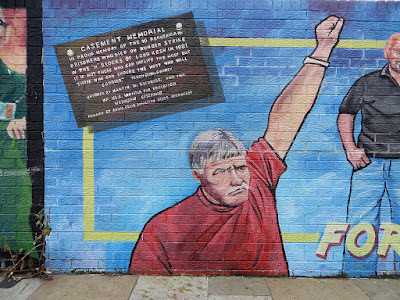 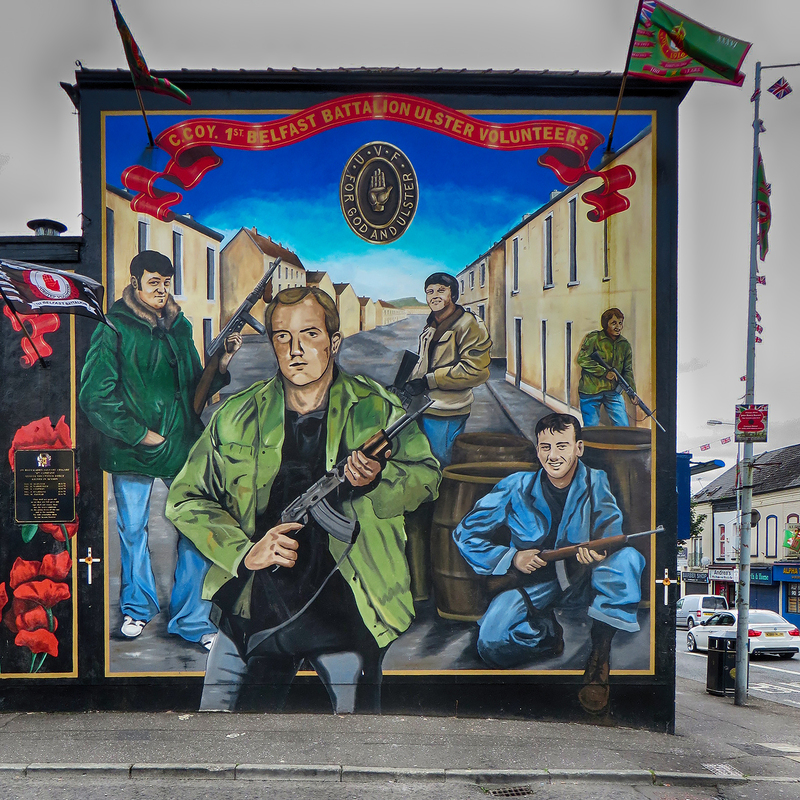 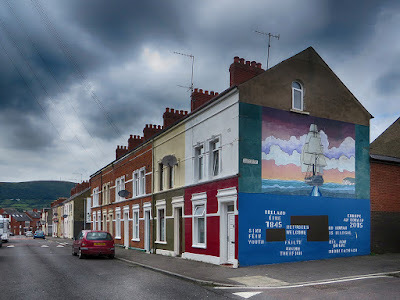 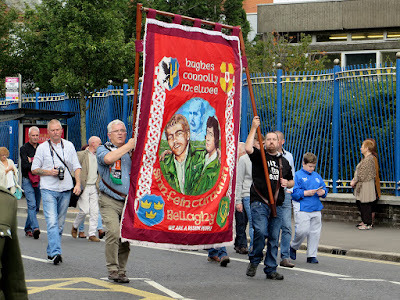 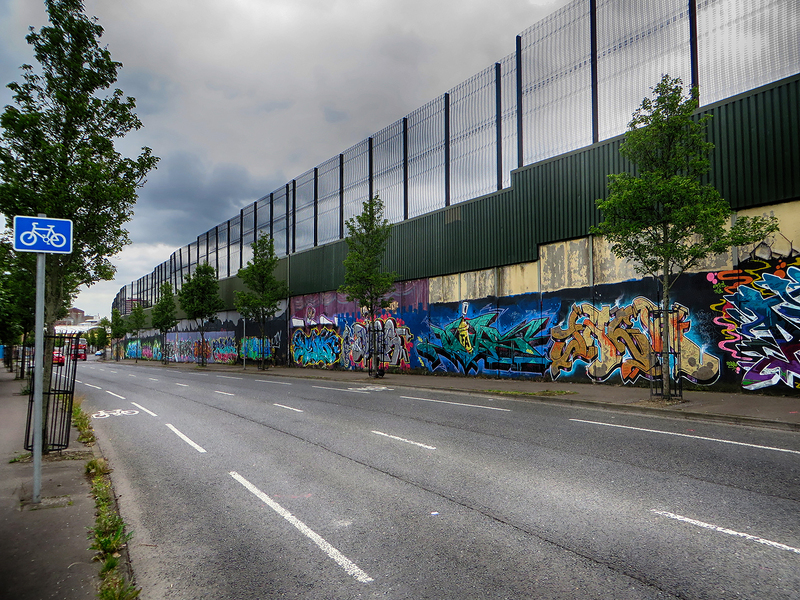 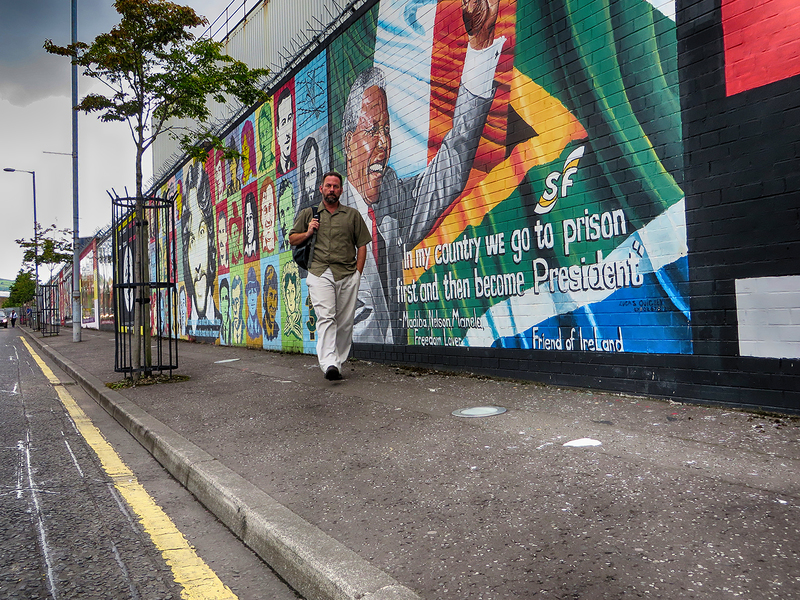 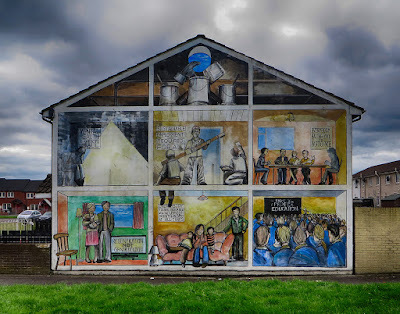 My goal was to wander the streets in search of murals commemorating The Troubles, that period of conflict between (mostly) Protestant Loyalist/Unionists and (mostly) Catholic Republican/Nationalists that produced spasms of violence in the form of bombings, kidnappings, torture, and inhumane prison conditions. 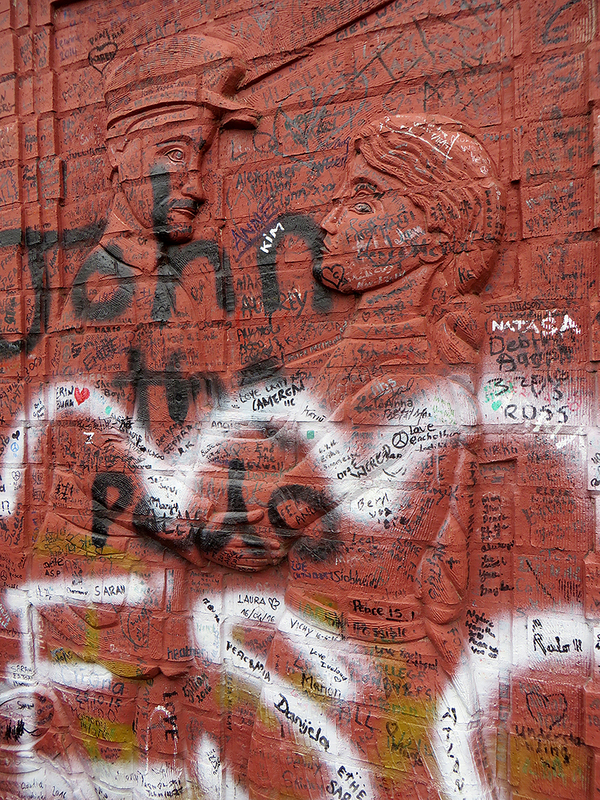 While the bloodshed largely ceased after the 1998 Good Friday Agreement, tension remains. 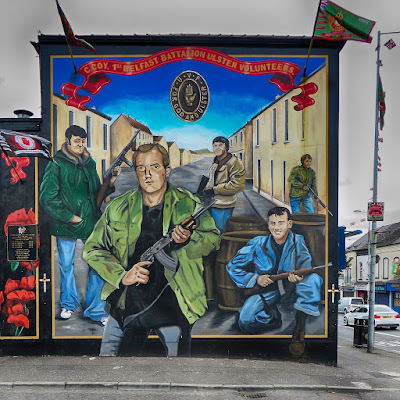 My colleague Matt Spangler advised me to avoid crossing the Peace Lines that still divide Unionist and Nationalist sides [see map], recommending that I treat those domains as spokes of a wheel by returning to the town center before passing into each neighborhood. While his advice was undoubtedly sound, I was simply too amazed by the prospect of walking through one of the few “interface structures” that allow passage between the districts. 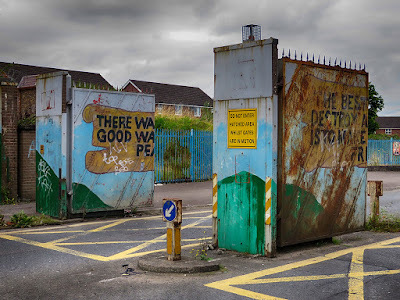 The portals were not staffed during my visit - though the checkpoints are closed during marching season when opposing sides parade near and through each other’s neighborhoods. 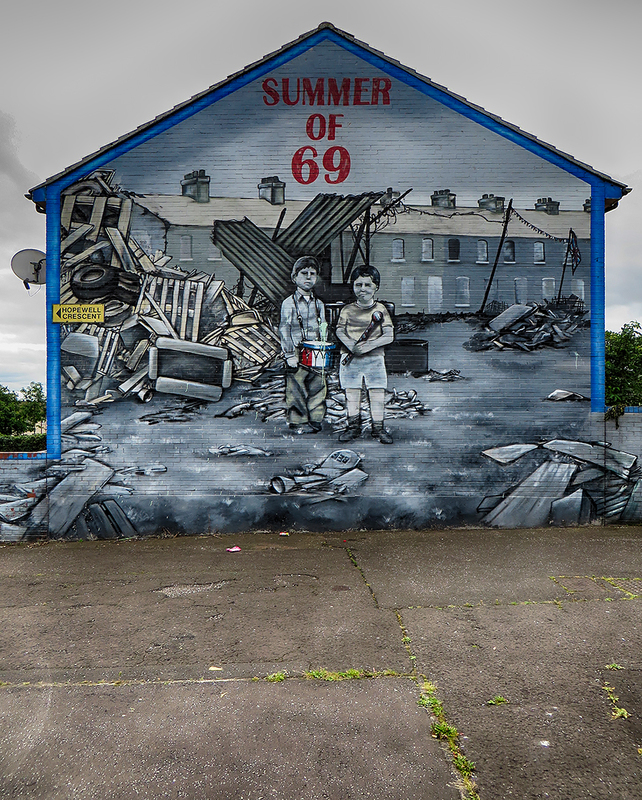 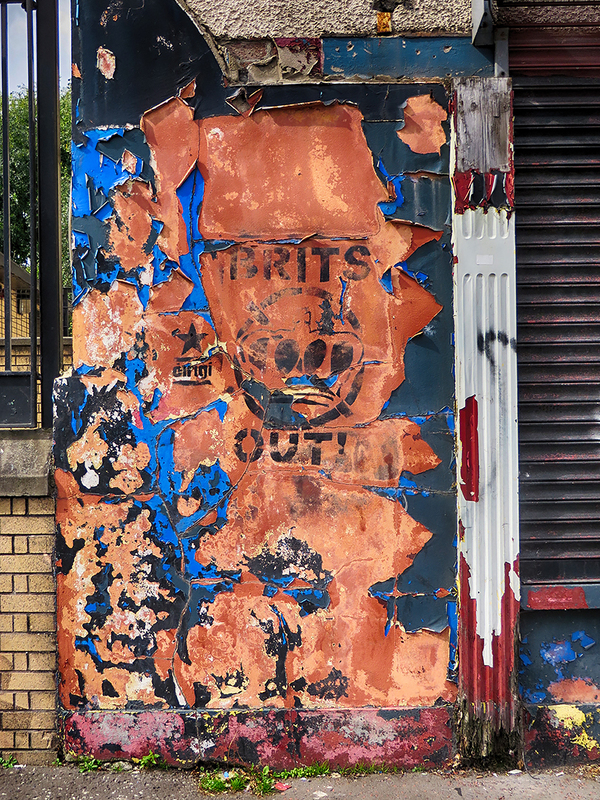 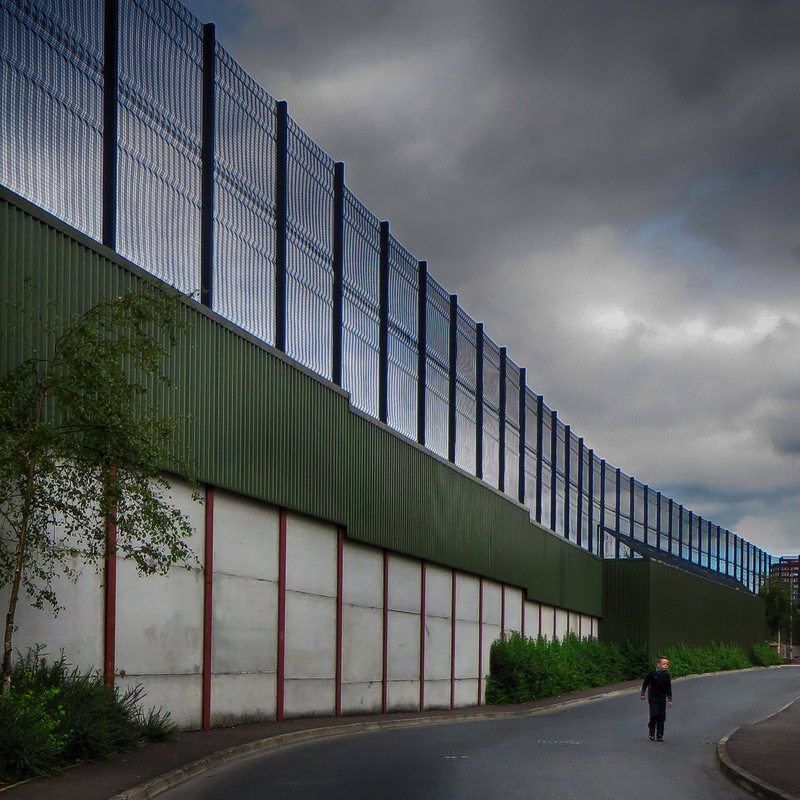 I shot those photos on August 14, 2016, between Crumlin and Shankill Roads (on the Loyalist/Unionist side) and along Falls Road (on the Republican/Nationalist side).